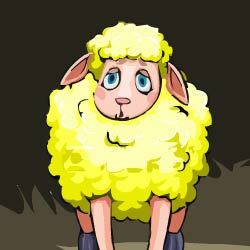 Woolpack escape is the new point and click escape game, free escape game from ajazgames. Your sheep name woolpack goes missing, you are sure she always returns home on time after grazing in the near by hills, you get worried, you go in search of woolpack, in one of the hill your hear her voice, when you go see her, she s locked, you try to break open the steal gate but no use, you must find the key to open up and rescue her home, so you go in search of the key, finding clues and solving puzzles along the way for the key. All the best, wish you good luck, have fun playing new online free escape games from ajazgames.